The thyroid gland is a butterfly-shaped which is located at the front of the neck , which is responsible for the production of thyroid hormones. The thyroid gland uses iodine (source obtained from the diet such as salt and seafood) in the production of thyroid hormones. Thyroid hormones are important in regulating metabolism and function of the human body such as growth and regulates the metabolism of protein and fat in the body. There are 2 types of thyroid hormones thyroxine ( T4 ) and triiodothyronine ( T3 ) , each representing 99.9 % and 0.1 % of thyroid hormones . After secreted out of the thyroid gland , which is a lot of T4 is converted to T3 , which is a hormone that is most active in terms of biological affects the metabolism of cells. means there is an abnormal lump in the thyroid gland and can be caused by benign cysts and benign tumors and rarely, thyroid cancer. Thyroid cancer is more common among older women compared with men or teenagers. There are several types of thyroid cancer. It depends on the type of cancer cells originate. Goiter is a swelling of the thyroid gland and may have symptoms of hyperthyroidism, hypothyroidism or euthyroid (normal thyroid function). Thyroid nodule can be one or multiple nodules . If the nodule is too large , it can press structures near and can cause symptoms such as shortness of breath or hoarseness of voice. 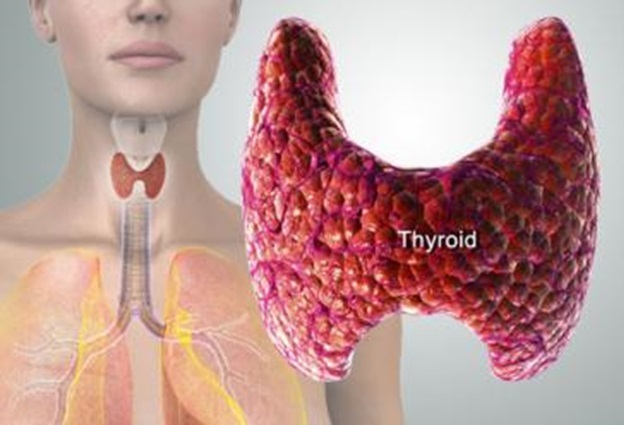 Symptoms suggestive of thyroid cancer are lump in the thyroid gland, hoarseness of voice, difficulty breathing or swallowing, stains, swollen lymph nodes in the neck, persistent cough or sore throat and constant pain in the neck. Risk of heart disease because of the bad cholesterol (LDL) will increase. Mental problems such as depression and slow thoughts. 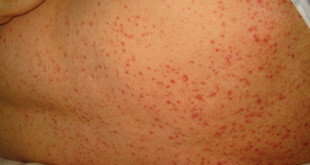 Nerve problems such as numbness and pain in the nerves involved. The problem with the development and growth of babies in the womb (physically and mentally). Heart problems such as atrial fibrillation (irregular heart beat) and heart failure can occur due to heart beat too fast and uncontrolled. The problem of brittle bones (osteoporosis) due to disturbance of the calcium metabolism in the body. Eye problems can occur in Grave ‘s disease where the eyeballs are bulging, red and swollen. “Thyroid storm”- very serious condition and can be fatal where there are symptoms such as high fever, rapid heartbeat and unconsciousness. Too large goiter can cause difficulty in breathing or swallowing problems in addition to problems in terms of cosmetics . Thyroid cancer can recur even after surgical removal of the thyroid gland is carried out , especially in a period of 5 years after surgery. Follow up should be done to detect thyroid cancer from happening again. Thyroid cancer recurrence can be completely treated. Thyroid problems can be treated with medication or surgery. It depends on the type of thyroid problem. For the problem of hypothyroidism, thyroid hormone can be replaced with a synthetic thyroid hormone pills taken orally. For the problem of hyperthyroidism, thyroid hormone production can be reduced by drugs that are taken orally. To control the symptoms caused by hyperthyroidism such as too fast heart beat, there are drugs that can be given orally as well. If the problem can not be controlled with drugs, radioactive ablation treatment can be used to inactivate the thyroid gland tissue selectively. Surgical treatment is necessary for the thyroid problem if there is a possibility of thyroid cancer. Surgery can also be used as a treatment if the goiter is too large to cause symptoms such as shortness of breath or difficulty swallowing even to cases of thyroid nodules that produce excess thyroid hormone, which can not be controlled with medication.